Nadim Kassar: We organize this event in order to uphold the transparency and seriousness of our support program. Following the success of previous editions of the Brilliant Lebanese Awards, BLC Bank launched the sixth edition of its Awards aiming to honor Lebanese business owners and entrepreneurs. This year’s edition was kick-started during a breakfast which took place at the Four Seasons Hotel in Beirut and gathered media representatives in the presence of the Deputy Chairman and General Manager of BLC Bank, Mr. Nadim Kassar. It was also attended by the twelve finalists who have been selected to compete in the “Business of the Year” and “Woman Entrepreneur of the Year” categories. 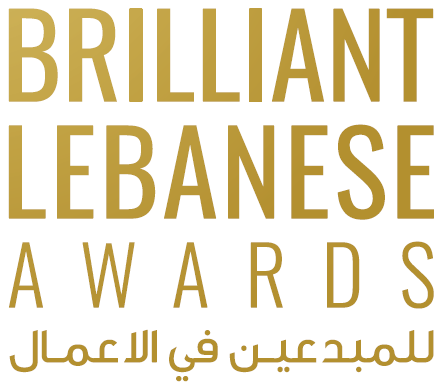 In addition to the two sought after titles, the Brilliant Lebanese Awards finalists get to partake in the People’s Choice Award: the winner of this category is designated by the public who has until the live ceremony to vote for their favorite candidate on www.brilliantlebaneseawards.com. Corporate Social responsibility (15%): the extent to which the project complies with and is committed to environmental and community issues as well as job creation. The event started with some of the awards’ previous winners and finalists sharing with the audience the impact the Brilliant Lebanese Awards had on their business, from exposure to new opportunities and expansion. Mr. Kassar then delivered a speech in which he welcomed representatives of the media, candidates and members of the jury. "This gathering is organized a few weeks prior to the annual Awards ceremony which will be held on December 7 in order to introduce the media and public to the overall process. It all starts with candidates from different fields and sectors submitting their applications to the Bank. Each file then undergoes a thorough evaluation based on the 4 criteria aiming to narrow down the competition to 12 finalists who move on to the interview phase with the jury”. Kassar pointed out that this process, which takes almost a year, reflects the seriousness of this program and the ways in which it benefits participants and reflects the Bank’s contribution and efforts to promote women’s economic empowerment and to support the small and medium enterprises that constitute the backbone of the Lebanese economy. The 2017 candidates were presented to the media. It is worth noting that the jury gathers, alongside Chairman General Manager of Kafalat Dr. Khater Bou Habib, Deputy General Manager of Kafalat Yola Sarieddine, Director of the Institute of Family Institutions and Individual Initiative of the Lebanese American University Dr. Joziane Fahed Sreih, Managing Director of Endeavor Lebanon Christina Shehade, Berytech’s Chairman and CEO Maroun Shammas, IFC Regional Director Saad Sabra, President of the Association of Lebanese Business People in the World (RDCL World) Dr. Fouad Zmokhol, Executive Director Head of Financing Unit at Banque du Liban Wael Hamdan, Executive Director Head of Banking Department at Banque du Liban Najib Choucair, Netways’ Roula Moussa, Head of the Gezairi Group Mona Bou Azza Bawarchi, President of The Lebanese League for Women in Business (LLWB) Asmahan Zein, and Assistant General Manager of BLC Bank Tania Moussallem.